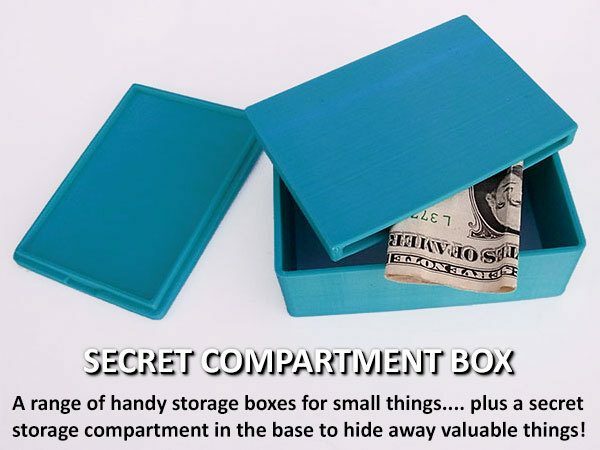 Secret Compartment’ Box #3DThursday #3DPrinting « Adafruit Industries – Makers, hackers, artists, designers and engineers! The ‘Secret Compartment Box’ is just that… a box you can store things in plus a hidden store compartment in the base. The base of the box has a slot through its centre and slides in / out to provide access to the things hidden inside.